Seeing data as a table and immediately being able to glean needed information has become a staple in our society. Data visualization is so important that it’s being taught in our schools with math basics. Yes, we are learning data recognition techniques, but it’s so much easier, and more communicative to look at enormous data sets using visual tools. These graphics, like Discover in IDEA or a production calendar in Power BI to pinpoint trends, allow you to quickly see crucial information so you can seize your business opportunities. Agribusiness stands to reap significant benefits from this type of technology. Data understanding is needed across every silo within any business. Traditionally, Agribusiness has relied on the same business process throughout history. Graphic representations of data can be more than visualizing massive amounts of data. You need to be able to make accurate decisions. In today’s tech world, there is no reason that simple business visualization for strategy, planning and forecasting cannot be achieved for everyone. The data is there – but can it be read and consumed for business intelligence? Can you find cost savings between the field and market? How about internal controls and inventory? Can you save time and money in delivery? Simple business questions that sound easy but can be hard and time consuming to answer without your own data analyst. As a concept, tech companies will bombard you with things like ERPs, CRMs and many of the high-end business services that are needed for billion-dollar companies. What if you don’t fit into that bucket? You need to receive these analyses without having to learn to write code. You need a solution that is not employee dependent. Because you need to clean your data for regulatory reporting and maybe you need to query a large dataset and don’t own the tools? Audimation Services can do all of that for you, when you need it. You need a knowledgeable, data analytics veteran that helps you achieve visualization into your business. Not only are these professionals hard to find, but they are expensive to staff. To find your profitable operations process and improve your customer or vendor/partner satisfaction rating; and hopefully your own services, we have the accounting, audit, and data analytics background that gives you the operation and financial visibility you need to drive your business to the next level. Our goal is to help our clients turn massive amounts of data into high-value information to immediately respond to risks, protect revenues and achieve operations excellence. We are a trusted source for many financial professionals over time, and we have expanded past audit to general business needs. At Audimation we put data analytics to work. Your success is our goal. We don’t leave you at the gate either. You need us? Give us a call. Our experts are available to help. Experience our 25-years of data analytics expertise. We provide customized solutions for your complex challenges that provide definitive results. Data quality is in our DNA. Let us make it part of yours. 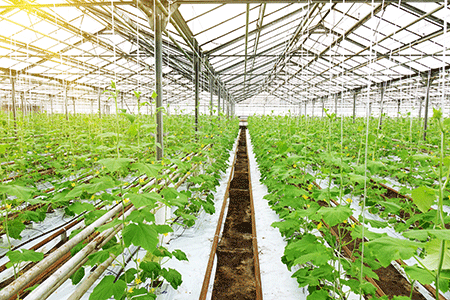 Learn More About How Data Analytics Can Be Used in Agribusiness.